Lizzy is currently involved in a number of exciting improv projects, performing round London and beyond. See Lizzy’s upcoming gigs here! Follow Lizzy on Twitter or Facebook for announcements of upcoming gigs, or follow each project separately via the links below. BIG NOW are London’s premier moment-based improv collective. BIG NOW can see into the present. BIG NOW are the gigantic Lizzy Mace, the vast Arfie Mansfield and the world’s largest Sophie Pumphrey. 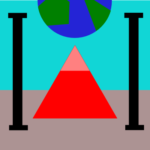 Borderline absurdist improv collective Somewhat Theatre present improvised theatre… somewhat. Lizzy has written and produced five one-hour comedy shows and one fully-improvised hour which have toured the world, winning 4- and 5- star reviews at Edinburgh, Adelaide and Brighton Fringes. Two Idiots, No Script ran at 6pm on 4-9, 11-14 & 16 March 2018 at the National Wine Centre as part of the Adelaide Fringe. Sketch! Improv! In-jokes! You’re either in or you’re out. Or you’re part of The Cleek. The most exciting collaboration to come out of Chicago’s Second City Training Center since… well, the last one… Featuring award-winning performers from the UK, US and Australia. The Cleek. Say cheek.In July 2013, Lizzy spent six weeks studying improvisation and sketch comedy at the legendary Second City Training Center, Chicago. She has since teamed up with her classmates to bring a whole new hour of comedy to the Edinburgh Fringe 2014! 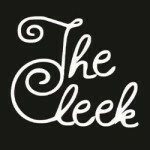 The Cleek ran at 2.20pm on 6-10, 13-17 and 20-24 August 2014 at Just the Tonic at the Mash House as part of the Edinburgh Fringe. Have you ever felt undervalued? Ignored? 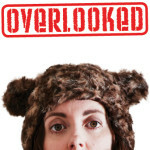 Overlooked?Three-time Edinburgh Fringe performer and Argus Angel Award-winner Lizzy Mace presents a series of endearingly awkward oddball underlings – from the fourth bear in the Goldilocks story to the disgruntled children’s TV presenter and her psychopathic sock puppets. Having wowed audiences at the Adelaide Fringe, the show had its UK premiere at Brighton Fringe, where in 2012 one of Lizzy’s previous shows, Rom Com Con – written and performed with Juliette Burton – won an Argus Angel Award for Excellence and was ‘Top Nominee‘ for Best Comedy at The Latest Festival Awards. The show has since had a full run at the Edinburgh Fringe 2014 as part of Freestival. Ever been broken-hearted and needed somewhere to go?Whether you’re in a relationship and need a temporary escape, or you’re lost without love and in need of shelter, Mace and Burton welcome you to Heartbreak Hotel. 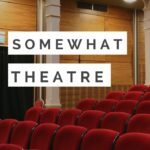 Join them as they chat to guests from across the Fringe in this cathartic comedy chat-show exploring heartbreak, heartache and those heart-warming moments that make it all worthwhile. Have a hope-filled holiday for the heavy-hearted! 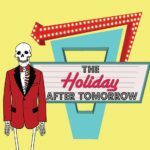 This relaxing rummage through relationship remnants provided a perky pick ‘n’ mix of the best comedy performers from all corners of the Edinburgh Fringe! 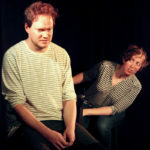 Heartbreak Hotel ran daily at 7.30pm from 4-25 August 2012 (not Tuesdays) at Buffs Club, 5 West Register Street as part of PBH’s Free Fringe. 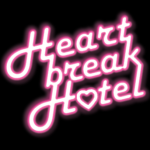 Take a break from your heart at Heartbreak Hotel! Have you ever watched a romantic comedy and wondered “Could that actually happen in real life?”Join Lizzy Mace and Juliette Burton as they try talking to coma patients (While You Were Sleeping), standing on street corners (Pretty Woman) and going on dates with guys whose paddling pools they used to play in (Bridget Jones’s Diary) – all in an attempt to find The One. 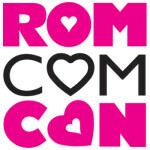 Rom Com Con has now been been performed around the world! Including the Edinburgh Fringe 2011 and 2012, Brighton Fringe 2012 and 2013, in Manchester, London, Cambridge and York, and at the Adelaide Fringe 2014, receiving 4- and 5-star reviews and the Argus Angel Award for Excellence. Do the rom coms hold the key to finding true love? Or are they all just one big con? Have you ever had a crush on someone and never dared tell them? What if you contacted the object of your affection years later and finally confessed? What if you contacted everyone you’ve ever had a secret crush on and told them all? Lizzy Mace has decided to do just that, and in her new 50-minute show she invites you to share the highs and lows with her – the toe-curling embarrassment, the surprising responses, and absolutely everything in-between. Crush ran daily at 1.10pm from 7-28 August 2010 (not Mondays) at the Banshee Labyrinth as part of PBH’s Free Fringe. Comedy with a side of self-help: you’ll laugh, you’ll cringe, you’ll nod in agreement.